Pre-book a luxury chauffeur for your next flight to or from Bristol Airport and experience the finest travel experience on the ground. 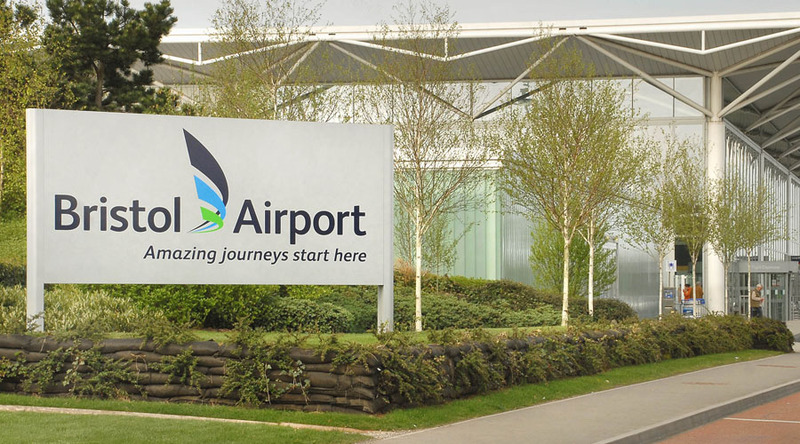 Situated in North West England, Bristol Airport offers links to some of the UK’s most beautiful countryside for weekend breaks and family trips as well as becoming a hub for business commuters. Whatever your reason for travel, do it in style with Starr Luxury Cars. Having pre-booked your Bristol Airport luxury transfers, you can ensure you reach your destination on time, feeling relaxed and calm. Avoid the stress of trying to make last minute travel arrangements and enjoy the sumptuous interiors of one our luxury chauffeur-driven cars, which can be there to pick you up from or drop you to any address in the UK. Our team of elite chauffeurs in Bristol are professional and highly experienced at what they do, ensuring your needs always come first. Each Bristol Airport luxury transfer booking is bespoke, tailored to suit you. We can be wherever you need us to at a time that suits you, driving you quickly and safely to ensure you make your flight or reach home or work on time. Of course, once we meet, your dedicated chauffeur will deal with any luggage and preparation, leaving you free to get accustomed to your new luxury surroundings. Whether you’re a professional travelling alone or enjoying some free time with friends and family in a larger group, we will have the ideal prestige hire car to suit you. We understand that discretion is key, we have worked with VIP clients, businesses and personal flyers for many years and we understand that all you really want is to be left to spend your journey time as you please. Your chauffeur will concentrate on the journey ahead as you enjoy some of the most modern and luxurious features found in the chauffeur-driven car of your choice. If you’re planning to land at Bristol Airport, you may choose to share your specific flight information with us. This allows us to track your flight as it is up in the air, predicting when you will land and making sure your chauffeur is there to meet you regardless of the time. For those flying out from Bristol Airport, our excellent airport assistance and hostess option is a firm favourite. One of our professional hostesses will remain with you until you board your flight, ensuring your every need is met. Each client’s journey is unique and our extensive range of chauffeur-driven hire cars in Bristol reflects that. We keep our models fresh and up-to-date, adding new luxury cars to our list and maintaining regularly. As such, you will have a pristine interior to explore, along with some of the finest features to be found in premium cars today, as standard. You may like to select from our luxury extras to suit the occasion of your flight, from full bodyguard services to champagne or child car seats, we do all we can to cater to your individual needs. You may add any extras on at your time of booking, either through our easy-to-use online service or via our expert team, who are also on hand to offer further information or handle specific requests.